Product prices and availability are accurate as of 2019-04-17 13:27:58 EDT and are subject to change. Any price and availability information displayed on http://www.amazon.com/ at the time of purchase will apply to the purchase of this product. 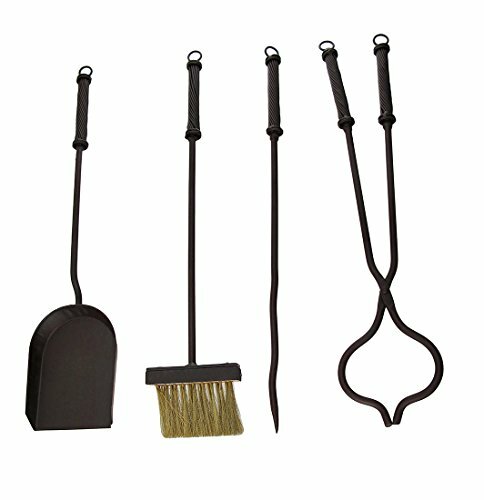 This Western star themed fireplace tool set contains a brush, a shovel, tongs and a poker, all with wrought iron shafts. 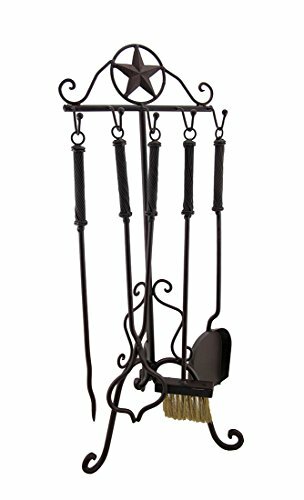 The set has a dark brown, rust-like finish that give it an aged look, and it matches almost any decor. The set measures 27 1/2 inches tall, 1 inches long and 11 inches wide. It makes a great gift.